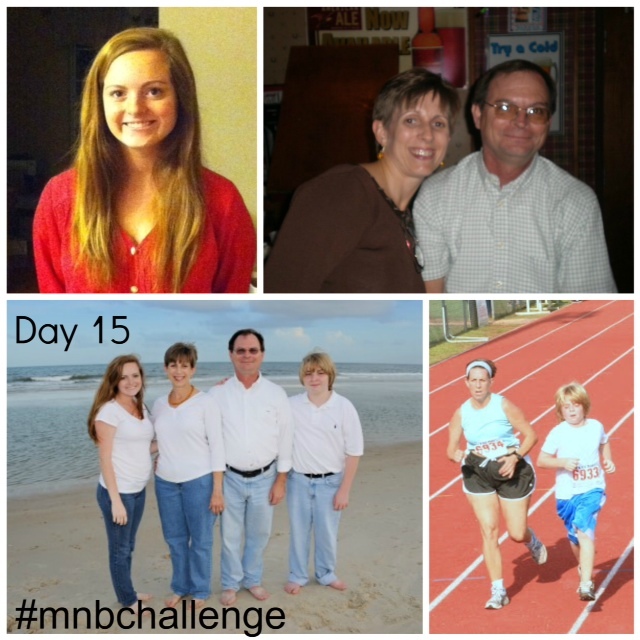 Week three of the Move Nourish Believe Challenge has just ended. 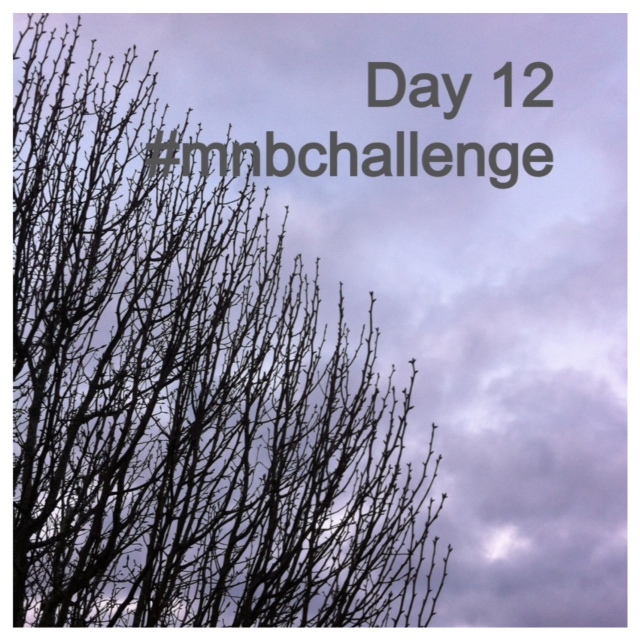 This was the final week of the challenge, and although I am relieved to let go of the daunting number of tags and hashtags required every day (five!) I am sorry to see it go, and hope the connections I have made remain long after the daily challenge assignments have ended. This was “believe” week. Walking? Yoga? I went for the ultimate (for me) “spoil yourself” item … Pop Culture!! I loved this day’s prompt. But I didn’t do a structured “meditation-y” thing. For me, five minutes with no headphones in, just me, the sky, the bird sounds, and some movement (via walking), was freeing enough. Just one happy place? I chose a picture of me running with women at the Gadsden Correctional Institution. Physically, it is a place of boundaries and mandatory uniformity. Add running to the mix, and everyone can transcend those boundaries and let their own individual spirits soar. Again, how to choose just one thing? But my mind goes daily to the women I met in Guatemala — old and young — the picture below was taken the first full day I was in Guatemala when I visited in July 2011. The joy in the dancing was so pervasive. 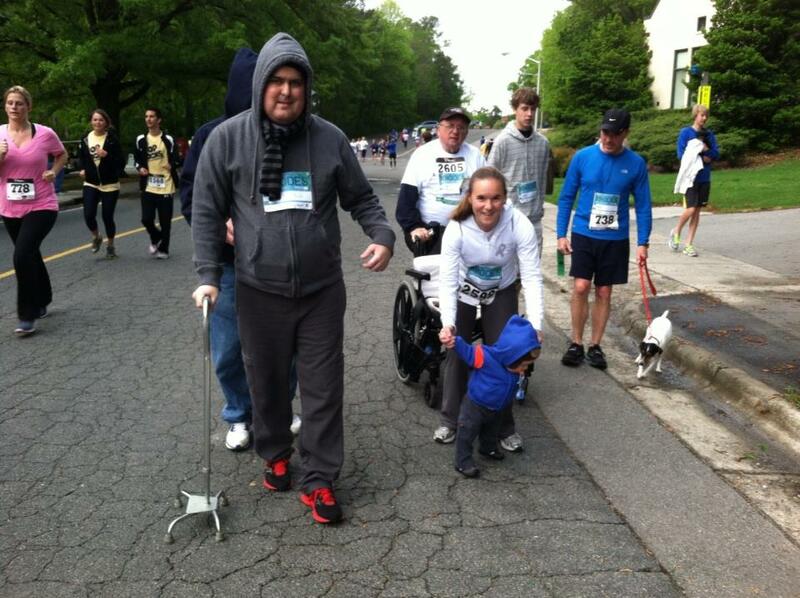 Friday’s challenge was “Share the love – s/o to your #1 supporter/motivator”! Gotta hand it to the family on this one. To the husband who deals with the budget hit our family takes from my running and paying a coach. To my daughter who drives my son to the bus stop on my run days so I can get my run in early. To my son who I really miss running with but who I hope will come back to the fold. Neither of them would claim running as “their thing,” but they bend over backwards to support the fact that it is mine. 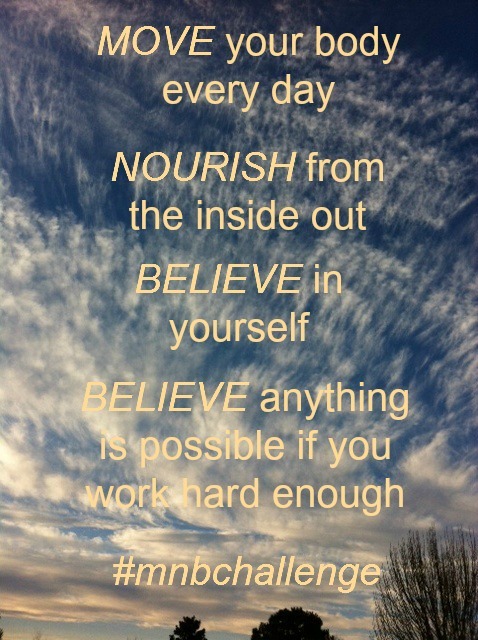 And just like that, the three-week Move Nourish Believe Challenge is winding down! To read about how it was structured, visit this link. AND there’s a Twitter Party on Wednesday night (February 26) at 8 p.m. Eastern for a last hurrah and the announcement of the winner of the $1,000 Lorna Jane shopping spree. 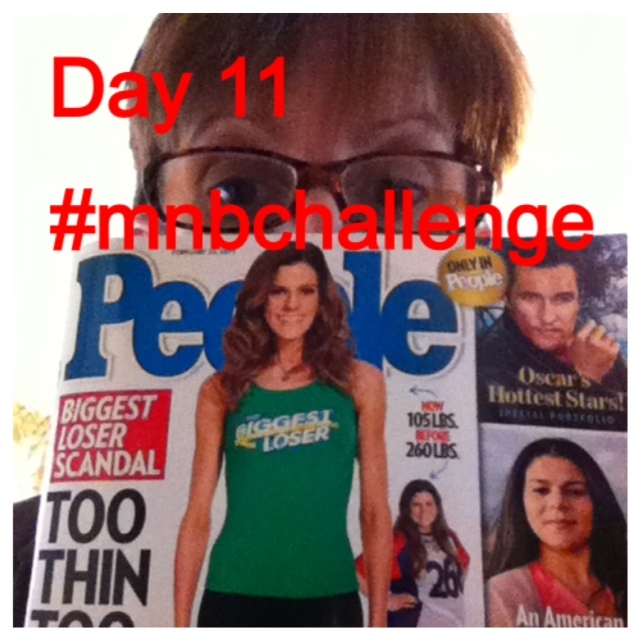 Use the hashtag #mnbchallenge. 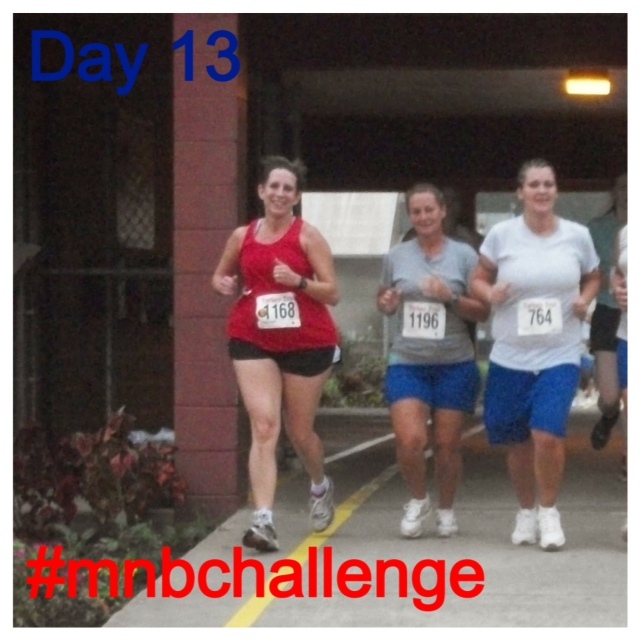 Thank you to Lorna Jane and Fit Approach for organizing and sponsoring this challenge. Saturday mornings almost always find me doing my long run. I have run several times through the trails at Lake Lafayette. A few weeks ago, my schedule changed and I was able to participate in a Move Tallahassee walk through the same area. Walking the trail took three times as long as running it would have, but since I ended up among bird lovers and conservationists, things were brought to my attention that I would have missed before: uncommon juvenile birds nestled in the aquatic plants; trash that had been left by walkers prior to us; invasive and predatory vegetation. I left the day with a heightened appreciation for the advantages of slowing down. 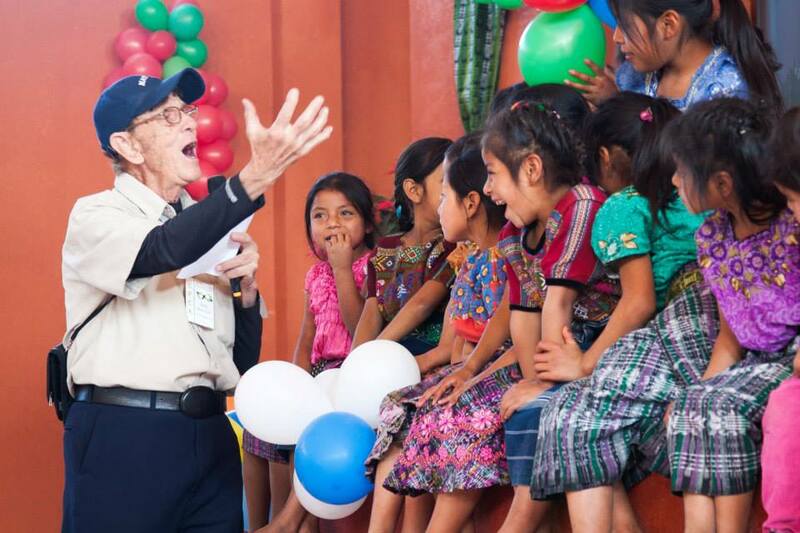 When I read an article memorializing Bob Hentzen, President and Co-Founder of Unbound, after his death on October 8, I learned that when he decided to relocate from Kansas City to Guatemala in 1996, he walked. That’s right: 4,000 miles! 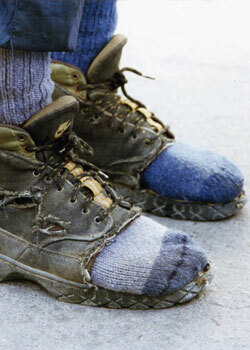 I can only imagine the human rights issues Bob saw on his walk (and continued to see when he settled in Guatemala). Did he encounter racism before he left the United States? Did he see citizens of his home country withholding jobs, the ability to rent homes, common courtesy from each other based on which racial group they belonged to? As he headed south, did he encounter citizens of Mexico, struggling for the right to health protection amidst the HIV/AIDS crisis? 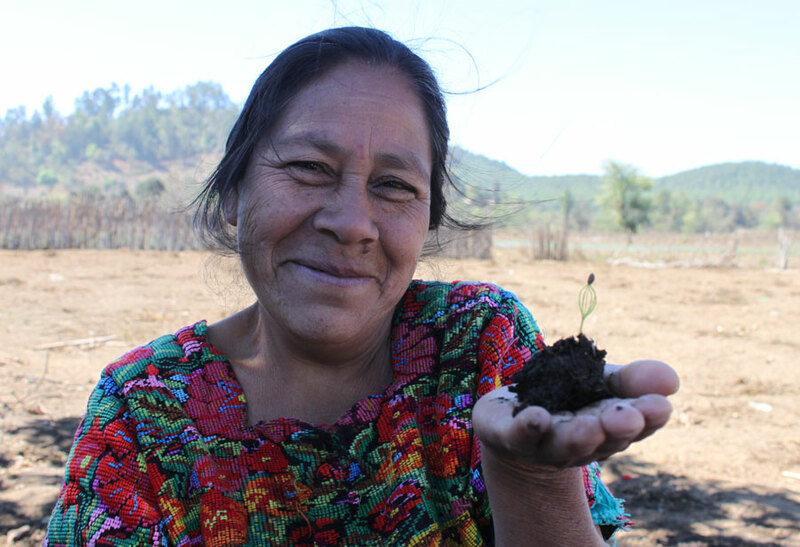 When he arrived in Guatemala, did he immediately see the challenges faced by indigenous people in danger of losing their land and/or livelihood? Undoubtedly he saw what he already knew: that women and girls were in danger of being victims of violence and the inability to get educated. I know from spending a week on a Mission Awareness Trip in Guatemala with Bob in July 2011 that he cared deeply about the women and girls of Guatemala who needed help to learn skills that would earn them a living; who needed support to get education beyond the initial early grades; who needed protection when spouses succumbed to substance abuse or simply left. I have so many memories of Bob that have come flooding back since I learned of his death earlier this week. How a few of the kids in the group (and, ahem, perhaps some of the adults) thought it was “quaint” when he walked in for the first time with his guitar. It’s possible a few eyes even rolled. By the end of the week, we were done with that though. I’d give a lot of quetzales (Guatemalan money) to hear Bob sing again. The way he interacted with his staff. I know how short tempered I have been with staff when I supervised. When you’re all crammed together in a mini bus for a week, there’s not a lot of privacy. I listened to him give directions to the Unbound staff and had a sense of abiding, quiet, humble leadership. Despite all that abiding, quiet, humble part, I know that Bob would not brook any nonsense when it came to Unbound. When he talked about charity clearinghouses and auditors questioning how he allocated funds, he was resolute in making sure as much money (and resources) got directly to families as possible while retaining the necessary cushion of financial solidity for Unbound. Back to walking and human rights. I doubt any of us reading this plan any 4000 mile walks in our lifetimes. What we can do, however, is slow down and walk through our town, our country, or another country and observe the human rights challenges, with an eye to doing something about them. To extend that example to Tallahassee and my home state of Florida, human slavery steals the rights of women (and some men). In the United States, pick any of a number of issues. As for other countries, if you have an opportunity to visit and see for yourself, do it. In the meantime, there are plentiful ways to improve your awareness and make a difference. (One of my favorites is Half the Sky.) In memory of Bob, I also encourage you to visit the Unbound site and consider sponsoring a child, giving a monetary gift, or even simply spreading awareness by sharing Unbound’s message on social media (or face to face!). 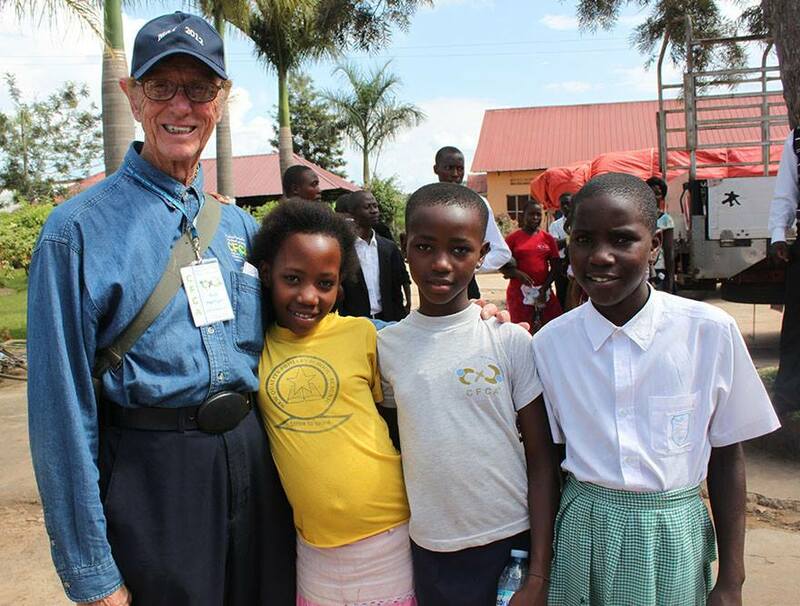 One of Bob Hentzen’s most repeated quotes is: “Society has told them [the poor] all along that they are not capable. We are here to tell them they are quite capable. You are not alone. We are walking with you.” When it comes to the topic of human rights, I encourage you to take a page out of Bob’s book and walk …. blazing a path of awareness and compassion. I finally read Lean In. After refraining from commenting on the book until I had read it, I’m ready. Let’s just get the lice issue out of the way. In Lean In, Sheryl Sandberg discusses the time she was traveling to a conference with other corporate executives, and the chairman of eBay offered for her and her young children to fly with him on the corporate jet. After enduring a 2 hour wait while some mechanical issue was handled (and keeping the kids shushed during the wait), they boarded the plane. Within minutes of boarding the plane, Ms. Sandberg’s daughter pronounced, “mom, my head really itches” while furiously scratching her head. Ms. Sandberg was mortified, somehow managed to conceal the issue of her daughter’s newly diagnosed lice infestation, and made a hasty detour to a pharmacy for the proper lice treatment rather than joining the others on the way to the hotel after the plane landed. I have been there and done that (the lice issue, not the private jet). Years after dealing with a lice outbreak at our house, I still remember crying in my car when for the third day in a row the school nurse thought she “still saw something.” Our county has a “no nit” policy and calling my boss to advise that I wouldn’t be coming in (again) was a call I hated making. (Wayne was in the middle of legislative session and couldn’t help at the time.) This little scenario made me feel like Ms. Sandberg may be able to relate to some of my working parent stresses. I wholeheartedly believe that our workplaces will be more humane and more productive when we recognize that the men and women who walk through the workplace doors (or log in to the workplace remote system) bring the joys and stresses of their personal lives to their desks. And while some people may manage to leave the work joys and stresses behind, speaking only for myself I can say my work is with me (emotionally) on Saturday afternoon and in the amalgam of things that parade through my mind as I fall asleep. I am concerned about the messages my children have gotten about “what work is” through the things I have said, the “vibes” I have given, the “frame” I have put around “what work is.” Perhaps more universal acknowledgement of “the whole self” will change the image we portray of work to our children (for those of us who have kids). The thing that kept reverberating through my head listening to the audiobook of Lean In was “why does there have to be ‘leaning’?” For me, it’s often more a matter of standing up straight, for myself at times; for coworkers at times; for ideas that matter that do not have champions yet. Of all the people I know who have read Lean In, the demographics are somewhat homogenous: well educated people, working people, Americans and Canadians (for the most part). While I don’t expect Sheryl Sandberg to solve global women’s issues in one book, I can’t forget the woman in Guatemala who met with our group when we visited in July 2011, who had no shoes. The child we sponsor in Guatemala who is trying to learn Spanish to augment her indigenous language, who will be way ahead of the game if she makes it past 3rd grade. The question my teenager asked about the women in Guatemala (“why do they keep having babies if they can’t afford them?”) and my fumbling attempts to explain cultural pressure to procreate. The men in Guatemala who struggle to feed their growing families in a “work a day eat a day” society that is getting more and more complicated as large corporate interests make the environment harder for the lesser educated. These people have an issue different than “will my employer create close parking spaces for pregnant women?”. Until girls around the world can literally survive and be educated, our “first world problems” remain exactly that. 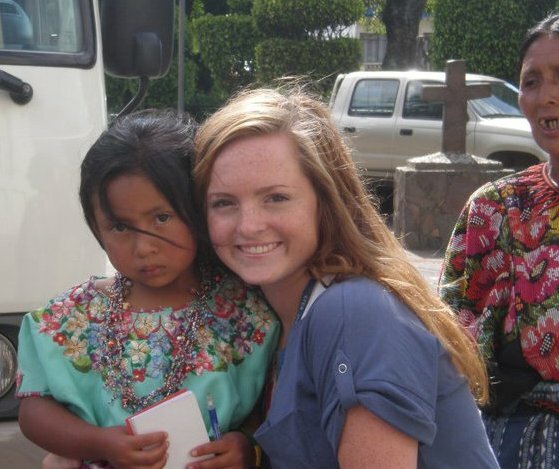 My daughter Tenley meets our sponsored child Estela and her mother in Guatemala. I am glad I read “Lean In.” I believe that, like people who commented about Battle Hymn of the Tiger Mother without reading it, we owe each other the effort to read before ascending any pulpits. Except for the “get on the rocket and then figure out your seat assignment” line, nothing in the book made a light bulb go off over my head. I did feel a little bit of “I can relate to that” (with the lice, with some of the work/life balance scenarios) and a lot of “wow we have a long way to go still.” Kudos to Sheryl Sandberg for her professional achievements, for being a wife and mom to a family she treasures, and for championing the idea that we all bring a “whole self” to work. I’ve already written almost 1300 words without really getting into how I wanted to be a stay at home mom OR the “fun” of responding to emails one-handed while keeping a breast pump suction cup firmly affixed to the correct body part. 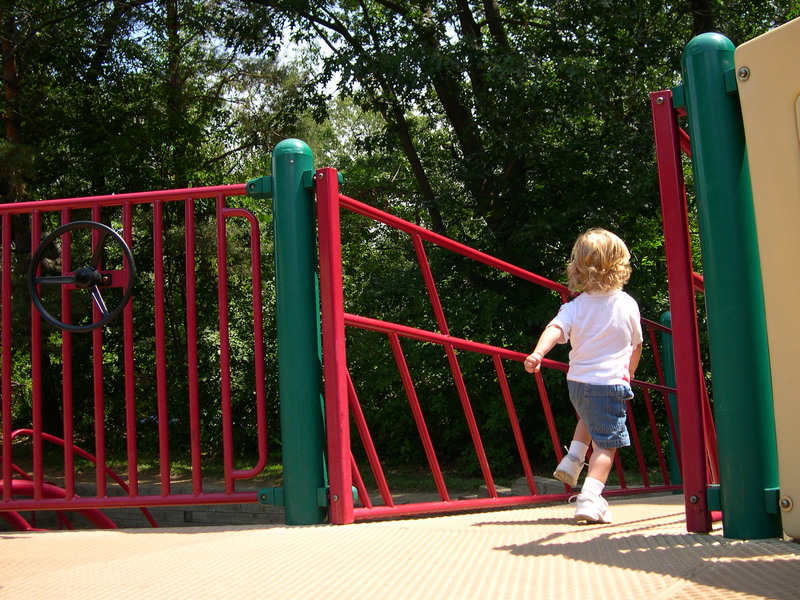 For a great discussion of the jungle gym analogy, I encourage you to visit Gini Dietrich’s post about Lean In. *Note: I read the book on audio, so it’s challenging to go back and obtain direct quotes. If I have paraphrased anything incorrectly, I apologize! I seem to get lost every time I leave the Earl May Boat Basin in Bainbridge, GA. I have participated in the Kiwanis River Run there quite a few Januarys, and have gotten lost on the way out almost every time. The year that Paula O’Neill, Arlene Feril, and I rode together (2012) was no exception. We decided to follow the car in front of us because it had running stickers (you know, that age-old indicator that the individual knows where they are going!!). Turns out we were following Dustin Rhodes, who was just as lost as we were. We eventually all figured it out. That January 2012 conversation in Bainbridge was the only time I ever spoke to Dustin face-to-face*. However, an enjoyable Facebook friendship ensued, especially once we figured out that Dustin, his wife Rebecca, my daughter Tenley, and I had all been at the very same village and church in Guatemala on mission trips (although he and Rebecca were there before Tenley and I were). Once you have been at the church in San Lucas, met its ministers and its people, you never forget. Our last messages to each other were on my birthday (November 28). Dustin had asked about the Jingle Bell Run (how “low key” it was) and I assured him how family friendly (and non-competitive) it would be. The following Sunday, Fr. Tim Holeda at Blessed Sacrament added at the very end of the service “please pray for Dustin Rhodes who has been diagnosed with brain cancer.” I could barely believe my ears, since Dustin and I had literally just spoken lightly of a fun run. Unfortunately, it was true. Everything moved at lightning speed after that. Dustin, Rebecca, and their son Michael moved back to Pennsylvania to be with friends. Surgery was performed at Duke University in early January. The list of therapies, medications, challenges, and diagnostic procedures is lengthy. So, also, is the list of people who rallied around Dustin, fundraisers that were held (including a skydive/ultra race combination), and compassionate love that was shared. As of the most recent update on Facebook, the family has shared that the cancer has spread to Dustin’s cerebellum and brain stem. As a result, radiation is no longer going to be part of his treatment plan and the family is evaluating their next steps. God of Miracles, You are amazing! Out of our emptiness and sterility, You work Your wonders. Help us to be comfortable with our empty sterility so that You can shine. Circumcise into the flesh of our spirits a deep faith in You and Your covenant betrothal of us. As Jesus touched the leper with healing power, touch us. Make us whole and healed. Make us fruitful so that we can be a blessing to others and productive in working for Your reign of justice, peace and life. You can bring life from where we create death. Thank you for being the miracle God of Life. I need Your healing life today! God’s work will be done, despite the odds, if we continue to be His hands and feet. I never had as many face-to-face conversations with Dustin as I would have liked (Lord knows Dustin was so much faster than me that we certainly were never running together!). I feel like I have just scratched the surface of what could have grown into a really wonderful friendship. I fear that in embracing the cause of supporting Dustin, all of us ran the risk of tromping on privacy and personal dignity at a time when this young family needed only to cling to one another and their God. But I suppose, as Dustin said, God’s work will be done…..
….and I’m pretty sure the guy who couldn’t lead three women out of Bainbridge has a very good lock on the Divine. Thank you, Dustin, Rebecca, and Michael for being just exactly who you are and letting God’s work be done through you. NOTE: If you are interested in helping Dustin and his family, either financially, by sending a card (appreciated! ), or learning more details in order to continue praying/sending good intentions, visit the website at www.dustrhodes.com. Thank you. *That’s not technically true; I spoke to Dustin face-to-face when I delivered food to his family after his diagnosis. I am so glad I had that opportunity to see him before he moved back to Pennsylvania. 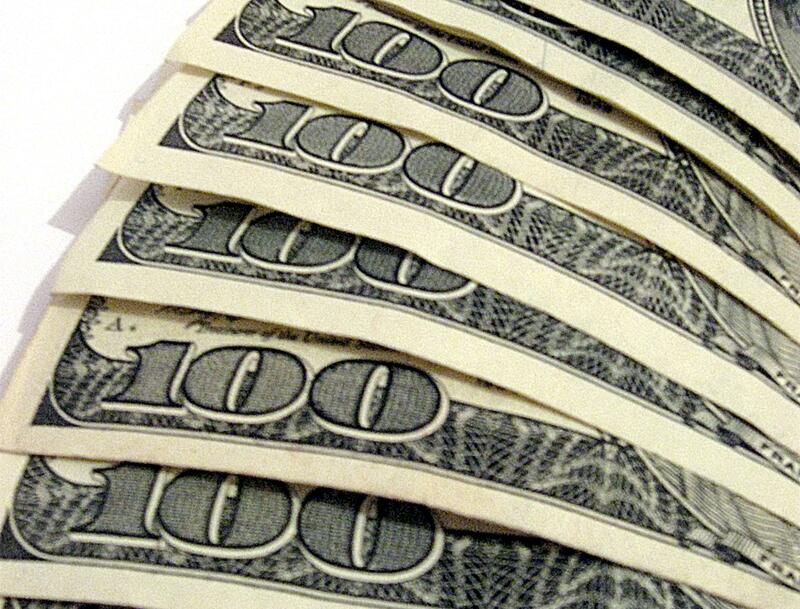 If I gave you $500 today, but you could use it for only one purchase, what would you buy and why? Option One: Pay down debt. The $500 would only put a small dent in what we owe but every single dollar toward being able to breathe again (emotionally) is a dollar well spent. Option Two: Send my mother in law on her dream trip to Rome. I know $500 wouldn’t cover the whole thing at all but it would be $500 closer than I am now. At 78, her stamina to negotiate an overseas trip like that probably isn’t infinite. I hate to give up on this dream. I wish I could have found a way to save up for it, to win it (I’ve entered plenty of contests), to repay someone who has meant so much to me. 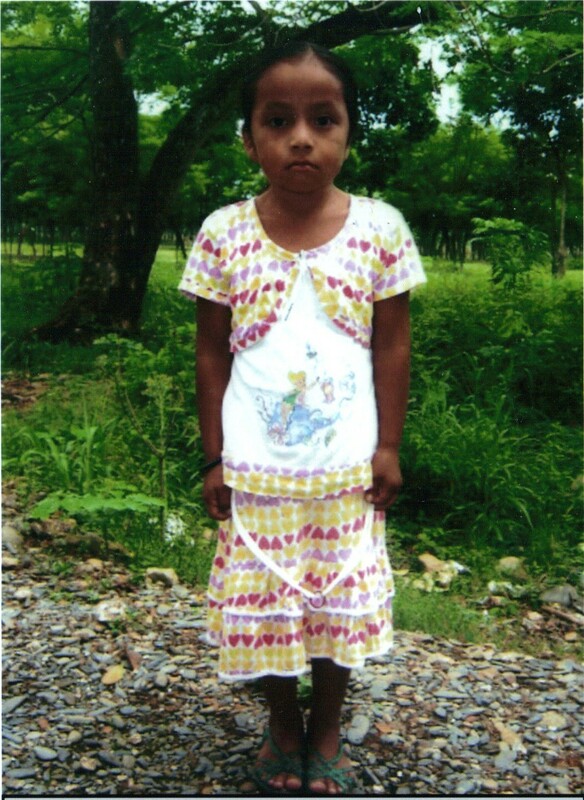 Option Three: Travel to Guatemala to visit our sponsored child, Silvia. At 18, her time in the sponsorship program is limited (it ends when she stops formal schooling). The guidelines regarding sponsor/sponsoree contact after sponsors hip ends are strict, and it is unlikely she and I will see one another again. I want to look her in the eyes, give her a hug, wish her a lifetime of happiness, and thank her for what she has meant to Tenley and to me. 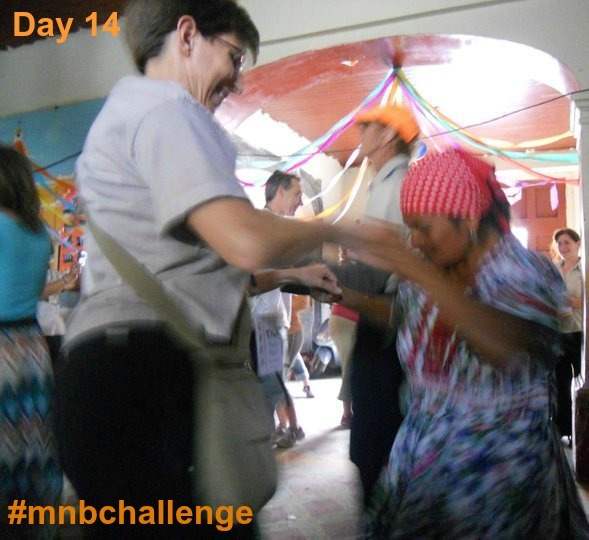 $500 would cover the cost of a Mission Awareness Trip with the Christian Foundation for Children and Aging. There would still be the issue of airfare, and getting Tenley there, but $500 would be a start. Thanks, Kat, for the opportunity to dream out loud (or on screen…..or whatever this is!). 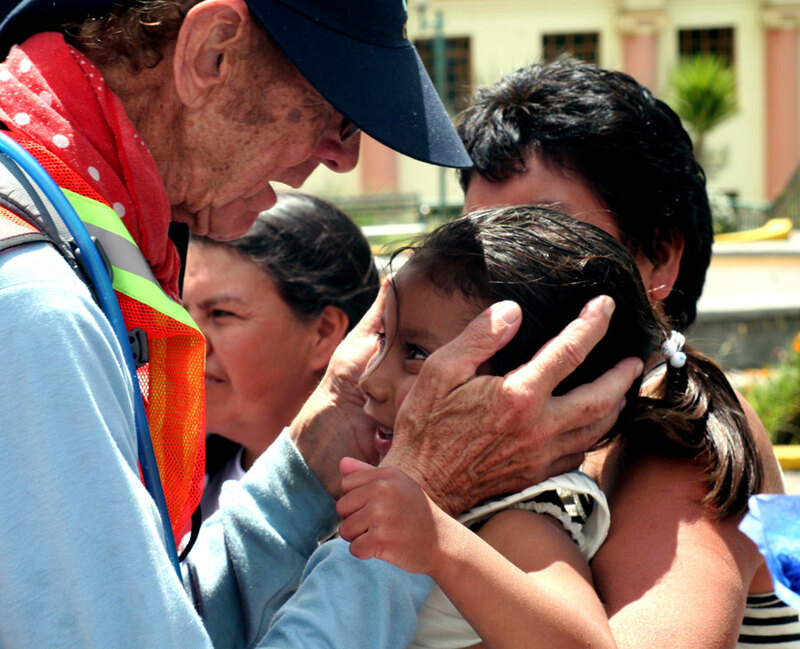 When Tenley and I visited Guatemala in July 2011 as part of a Christian Foundation for Children and Aging Mission Awareness Trip, we had a booklet that outlined “the plan” for each day. For example, we knew that on Monday we would start the day with a reflection, spend the majority of the day visiting with our “sponsored friends” (the children that we had been supporting through financial contributions, correspondence, and small gifts), and end the day with dinner and a video presentation. 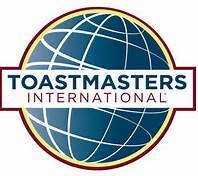 The “plan” for Wednesday stated that we would start the day at 7:00 a.m. with the “Mayan Prayer” led by the project team. I had no idea what to expect, except that some of our fellow travelers seemed very excited about the Mayan Prayer. When Tenley and I arrived downstairs on Wednesday morning, we could see what all the excitement had been about. I don’t know what time the team had woken up to prepare the elaborate presentation, but it was beautiful. A carpet of pine needles surrounded beautiful floral presentations – a floral rosary – the CFCA logo in flowers – representations of earth’s gifts such as corn, wheat, fruit, and beans – and in the very center, a cross of five colors. In the cross, small green candles represented the center of the earth; red candles represented the east; black candles represented the west; white candles represented the north; yellow candles represented the south. Many of the team members had dressed in their indigenous clothing; beautifully woven textiles that told stories in themselves. The history of the textiles goes back thousands of years, grounded in a land whose volcanoes and mountains have sustained generations of people who have a deep reverence for the earth and its products. The Mayan people may have never worshipped in ornate cathedrals; they may have never had hymnals inscribed, “In Honor of So-and-So.” They may not have had many material worship trappings that most of us have become accustomed to. And it was in His light that we all rejoiced. This week, random.org handed me Mama Kat prompt number one: List 22 things you’ve never done. I love this idea, but I am saving this prompt for an upcoming blog and going with number four: Share the story behind your current Facebook and/or Twitter profile photo. My primary blog describing more about Carla’s family and how sponsorship can literally change their lives is here. My daughter Tenley and I met Silvia, a child we have sponsored since she was seven (she is now seventeen), in July. The difference between looking at a two-dimensional picture of Silvia on my mother-in-law’s end table for years and the three-dimensional experience of hugging her, talking to her, and meeting her mother, is something I can hardly quantify. As with every experience I had in Guatemala, it was looking in the eyes of parents (especially moms) and seeing that we all want pretty much the same thing for our children: safety, happiness, and a life that has options, that galvanized my determination to continue helping. Then, during the week of our visit to Guatemala, we learned that if we chose to sponsor another child, we would get to meet him or her that week. Rapidly I went from saying, “yeah, we’ll sponsor a child of our own (Silvia is technically my in-laws’ sponsored child) once my husband gets a job” to my daughter’s emails to my husband (since he had to be part of the decision) stating in no uncertain terms how we couldn’t wait to sponsor a child. She was ready to give up a significant portion of her allowance monthly; the children (and their families’ needs) were so compelling. I think I will always wonder what happened to Wendy, whose folder we left on the table with the others, in favor of Estela. The decision point? Which one, based on the biographical information available, did we think needed sponsorship the most? Since Estela is the youngest of ten children, in a family that survives on the equivalent of $50 a month, she became Tenley’s sponsored child. Just like with Silvia’s mom, when I looked in Estela’s parents’ eyes, I knew we were “in this together.” Their gratitude was unequivocal – Estela now has a chance to go to school, to have improved nutrition and health care, and to exchange letters with Tenley (which will give her additional language training as she gets older). Estela’s parents look on as she meets Tenley. I hope Wendy became someone else’s starfish. That one is Carla. I got her folder (which contains pictures, biographical information, and sponsorship information), in mid-August and proceeded to blog, FB status, Tweet (in two languages), YouTube, and follow any trail that may lead to someone who could spread the word too. CFCA was gracious enough to put my post and Carla’s picture on their main Facebook page. Many people have been awesome and helped by sharing the links. My friend Robin is donating her teaching time this Saturday (and YogaQuest is donating studio time) for a “donation” yoga where the pay is not a monetary contribution but an agreement to help get the word out via social media (or the old fashioned way — remember that? — where you actually talk to someone face to face!). Usually we have the folders for sixty days, but CFCA agreed to let me hang on to Carla’s information for another week and a half. If you’ll bear with me just a bit more, I have a few requests. Lastly, many of you in the MamaKat community have shared comments and the like with me over the past year. I feel like I know many of you and you have a sense of what I am about. I could use some honest feedback about what strategies I might use for a campaign like this. Over the past sixty days I have become convinced that there has to be some extension beyond links, tweets, and other social media efforts (like speaking to small groups, etc.). But what do you need to hear in a request like this to feel compelled to share it forward, pursue it yourself, or want to become personally involved? How do you go from “Hm, that’s interesting,” to “Is that my starfish?” This is my first time doing this outreach for CFCA, and I could use some of your great intellect and common sense. Thanks in advance!! I am going to randomly select two of the commenters to receive a $5 Starbucks gift card* as a way of saying “thanks.” I will select the recipients on Wednesday, October 26. In closing, I ask you who will be your starfish? 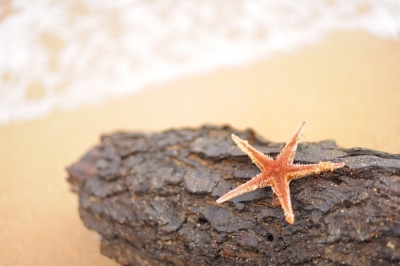 And if you are a parent, how are you teaching your children that each starfish matters? *Note: These are gift cards I was given by Tekara Organizational Effectiveness, Inc. as a “thank you” for some comments I had shared on one of their blogs. They are aware I am sharing these gift cards with you, and I thank Tyrell Mara and Tekara for their permission! In this video, I talk about how sponsorship can change Carla’s life (and I find a use for that expired grape soda in our fridge – how’s that for multitasking??!!). If anyone you know has any questions about sponsorship (for Carla or for other children/youth/aging in any of the 22 countries served by CFCA), please let me know! Note from Paula: It is possible that more than one person may contact CFCA about sponsoring Carla or that a potential sponsor may really have their heart set on sponsoring a boy instead of a girl, a child from one of the 21 other countries served by CFCA, or an elderly person. Please know that CFCA has many sponsorship opportunities available and will be happy to work with you to select who you want to sponsor. You can get more details on that here.